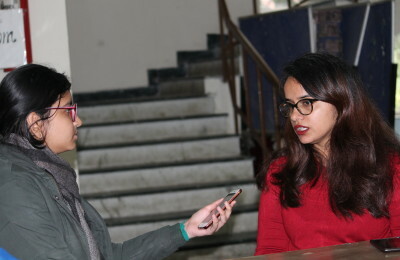 With the admissions process for undergraduate courses in Delhi University having begun on June 1 with the start of online applications for merit-based courses, the university has been organising guidance sessions for aspirants and their guardians and as a way to address their various queries. The fourth Open Day session took place at the Conference Centre, North Campus. 2. If a student doesn’t have the original marksheet because it hasn’t been provided by their schools/board yet, they can download their marksheets from the website of their respective Boards and upload that after self-attesting it. 3. Documents required as mandatory uploads: Passport size photograph (self attested), Signature, Class 10 certificate (for proof of date of birth), required certificates for the quota/category applied for, and an additional income certificate for OBC candidates. 6. For admission to minority colleges (JMC, St. Stephen’s College, Mata Sundri College etc. ), the applicants must first fill the common admissions form on the UG portal and then proceed according to respective college’s procedures. Dr. Tuteja also went into a detailed explanation of the procedure to calculate best of four according to various streams and course combinations. He insisted that for an honours subject, if the subject applied for is not included in the best of four, it would lead to a deduction of 2.5%. Inclusion of physical education (or any subject other than the ones mentioned in the list of electives provided by the university) will also lead to a deduction of 2.5&. For a detailed explanation of how to calculate best of four, read DU Admission ’16: Calculation of Best of Four marks. He insisted on the importance of the marks for all subjects being in a 70:30 ratio for theory:practical. Any subject whose marks are being included and not in the given ratio must be adjusted accordingly. He informed that including English (elective) would give the applicants a 2% advantage in the best of four. A stream change (for eg: having studied Science in class 12 and applying for B.A) could lead to a deduction of 1-5%, depending on individual colleges’ policy. Cases of students who have opted for Improvement exams or sent their marks for reevaluation were also discussed. For students taking improvement exams, Dr. Tuteja informed that they need to upload their updated marksheet. For reevaluation, if students haven’t received their final marks, they should upload and submit their current marks but use the updated marks, as and when received before the cutoffs, to calculate their best of four and when they visit colleges. Students had a number of queries after the session ended, which were all addressed in a question and answer session. In an answer to a student, he informed that Forensic Science wasn’t being introduced as a course in undergraduation in 2016-17. He answered another candidate, who was concerned about the lack of an income certificate for OBC quota, and told him that for families who were self-employed and didn’t have income certificate, they could use their income tax receipts or else just write down their family income and self-attest it, which would be verified later. Aspirants were seen huddling around the Dean after the session ended too.